Part 1: In the first draft of IHPRS, mention was made of E.P. Sanders in connection with Wright and the NPP. As a result of this, Wright fired back and attempted to distance himself from the teachings of E.P. Sanders. As a matter of honest disclosure, the original comments are provided here, along with Wright's own expressions of admiration for Sanders, in order to consider the logic of his complaint. Part 2: Wright expressed concern over the fact that his book What Saint Paul Really Said (WSPRS) is nearly 10 years old, and that, therefore, those reviewing his book would fall short of a proper analysis of his views. Yet amazingly, Wright also affirmed in his note that he still stands by what he wrote in WSPRS. The logic of this matter is addressed in this section. Part 3: Wright defends himself as being a faithful exegete, while accusing others of merely parroting 16th century reformers. In this section, the reader is reminded of several points and observations made within the fourth chapter of IHPRS. 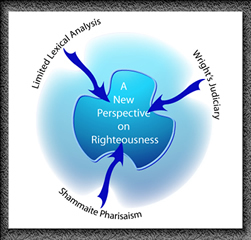 Wright's view of himself and his treatment of Scripture is addressed here in part 3. Part 4: Wright seeks to distance himself from the Emergent Church movement in view of one brief comment made in the first draft of IHPRS. In this section, we look at the broad symbiosis that exists between Wright, the American church, and the Emergent Church movement in particular. Part 5: Wright had indicated that he managed to influence John Piper "considerably" before the publication of The Future of Justification. While the details of his claim are not in the purview of this book, this section of the appendix addresses broader issues relating to the influence of popular church leaders upon American church culture, the gravity and importance of clarifying what the Gospel is for the sake of others, and it addresses Piper's own responses to Wright's teaching.